How To Buy The Best Microwave - Which? The best microwaves make light work of heating and defrosting, and you can rely on them to cook and thaw food properly. Below, we talk you through how to buy the best microwave for you, whatever your budget. You can also watch our video above for our expert buying tips. Microwaves are a useful kitchen extra, whether you're re-heating yesterday's dinner, steaming veg, or defrosting some meat for your next meal. You can also buy microwaves that double up as a mini oven, grilling and cooking food as well as microwaving it. Which one is best for you depends on what you plan to use it for most. Power and price aren't reliable indicators of cooking ability though, and if you don't do your research you might end up with a model too small to fit your crockery in, so it's worth doing a little research to find the best microwave for your budget. 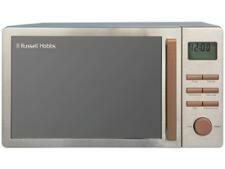 Take a look at our pick of the best microwaves to discover the models that Which? recommends. Use our interactive tool to help you decide which microwave features will be most useful to you, so you can track down the best model for your needs. What type of microwave do I need? Microwave-only: a microwave that heats up and defrosts. Combi: can heat, roast, crisp and brown like a conventional oven. Grill: combines normal microwave cooking with a heating element. For each type of microwave you can either buy a built-in or a standalone model. Built-in microwaves are much more expensive than freestanding models. 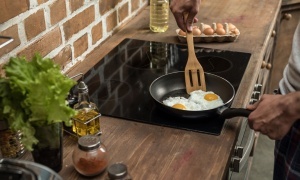 Flatbed microwaves are also becoming more widely available - these do away with a traditional turntable as they use a different technology to distribute the microwaves and heat evenly. No turntable means no issues with bulky or oblong containers hitting the sides. There are also fewer places for cooking grime to collect. On average, you will pay more for a flatbed microwave, though. Sometimes called 'solo' microwaves, these basic microwaves are great for simple tasks, such as reheating a forgotten cup of coffee, warming up soup, cooking jacket potatoes or heating ready meals. 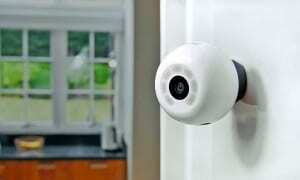 You can also use them to defrost food. A basic microwave is a good option if you just want to complete simple heating tasks more quickly than is possible in a conventional gas or electric oven. But basic microwaves don't brown food, so they're unable to compete with ovens and cookers on jobs such as grilling or roasting meat. 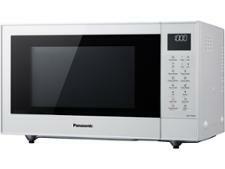 Visit our solo microwave reviews to find the best for you. Grill microwaves combine normal microwave cooking with a heating element. 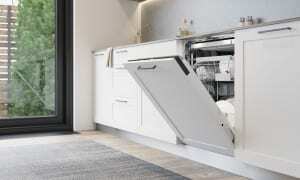 They can perform all the normal duties you'd expect from a standard microwave – cooking a jacket potato, defrosting a ready meal, reheating your dinner and so on – but the grill function allows you to brown food. 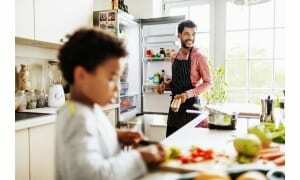 And, for cooking more complex dishes, you can cook with a combination of microwave energy and heat from the grill. They come with metal racks to bring food closer to the grill element. See which grill microwaves we rate highly, and which to avoid, by visiting our grill microwave reviews. Combination microwaves tend to be the most expensive type of microwave. They use convection heating (fanned hot air) and come with grills, so you can use microwaves, grilling and convection heating to cook and brown your food. You can read more about the pros and cons of combi microwaves and how much you should expect to pay for a good one in our dedicated guide: combination microwaves: how to buy the best. 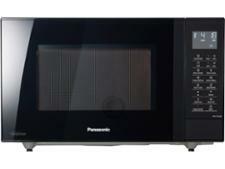 You can also visit our combination microwaves to find out which models are worth the higher price. How much does a decent microwave oven cost? Budget microwaves costing less than £50, from the likes of Tesco and Asda, will be pretty basic. They're likely to be microwave-only (solo) models and many will only have two controls – one to set the heating power and one to set the time. Forget about shiny silver finishes and rows of buttons and program choices, and think white boxes and minimalist dials. This makes them very easy to set and use, but they tend to be on the small side, so make sure you have a look inside before you buy to check you’ll be able to fit your dishes inside. We've found that for simple reheating and defrosting, cheaper microwave brands can be as good as more expensive microwaves. We’ve tested £50 models that are every bit as good at the basics as microwaves that cost much more. What do I get if I pay more? For £100, look for a microwave with preset heating programs for specific foods, digital displays and easy-to-use push-button or touch-panel controls. Some microwaves at this price will be programmable, which means you’ll be able to set them to defrost first and then heat. Cheaper grill and combination microwaves are available for around £100. Microwaves costing £200 or more should be a bit special, either in features or the accessories they come with. Alongside convection cooking and grilling, features to look for include being fully programmable, self-cleaning catalytic linings and pull-down oven-style doors, which make it easier to unload very hot dishes. Accessories to look for include crisping plates and steamer dishes. If you’re paying more than £300 for a microwave, it’s likely to be a built-in model. If it’s not, it should have a stand-out feature, such as one-touch sensor cooking – where all you need to do is put your food in and press the start button – or a built-in steamer. Within all price brackets, we've found microwaves that excel at defrosting and heating your food, and some that will leave your food with cool patches and overly crisped edges. To find a microwave that's not only excellent at what it's made for, but has all the features you need and suits your budget, head to our in-depth microwave reviews. Although they've been around for a while, microwave ovens aren't always the most easiest appliances to use. Below we list and explain some of the key features. For a full run-down on what's what, go to our microwaves jargon buster. Auto-reheat: you enter the weight of the food and the microwave then calculates how long it should take to cook. More expensive microwaves also let you enter the type of food you're cooking, so the cooking time is set more precisely. Auto-defrost: you enter the weight of the food, and the microwave chooses the best defrosting program. Pizza function: many of the microwaves we've tested have a function for cooking or reheating pizza. These tend to work better with grill or combi microwaves, as the grill helps to crisp the pizza base and brown the top. Some microwaves include crisper plates, which help crisp the base. For best results, use a frozen pizza and pre-heat the oven and plate for four or five minutes before use. Vegetable steamer: some microwaves come with a vegetable steamer, which offers a fast and healthy way to cook vegetables. You can buy vegetable steamers separately if your microwave doesn't come with one. Now you know what type of microwave you want, and the features to look out for, visit our microwave reviews to find the best model for you at a great price.